Burial at 10:00 AM at Mt. EverRest Cemetery on Monday, September 25, 2017. There was no one quite like Juanita Malito in the hearts of those who knew and loved her. A devoted wife, dedicated mother, loving grandmother, sister and good friend, Juanita filled the lives around her with joy. She gave of her time and talents, and her selfless commitment in serving others was to be admired. Juanita counted her family as her greatest blessing, and her faith and personal devotion to Jesus was an example to all. Gone but never to be forgotten are the treasured memories she leaves behind. Juanita’s story began during a time of economic prosperity as industry and the need for consumer goods rose. While Gershwin and Berlin dominated the music sector, men in their pan hats strolled along with swank and swagger and were quite a match for the belles of the infamous Roaring Twenties, the flapper. At the same time, Ellis Island closed its doors as an immigration entry point leaving behind numerous memories behind. Yet for Evey and Birdie Inez (Hill) Starr, these days were especially bright with the October 21, 1924 birth of their daughter, Juanita. Born in Harlton, Texas, Juanita and her parents made their home in the growing city of Longview, Texas where Juanita was joined by her younger siblings, Bobbie Jean and Jerry. Juanita held close special times spent with her parents throughout her childhood. She loved fishing with her mother and father, and nights spent camping with her family under the Texas stars. 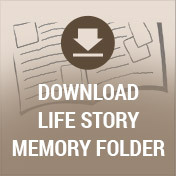 Her grandparents played a vital role in Juanita’s young life, too. She loved recalling times spent with them. And to the last of her days, Juanita’s favorite dessert included sugar cookies as her grandmother often made Juanita these homemade goodies for her as a child. One of the many things Juanita lived through during her lifetime was the financial turmoil during the years of the Great Depression. Despite these tumultuous times, she and her family got by and made do. Her father worked hard and long hours in the oil fields of Texas while her mother remained at home as a homemaker. Juanita attended the area schools and during her teen years, news of the day included the travesties of war during World War II. These were difficult days for Juanita and her family, especially when her father passed away when she was 15. Although times were hard, one of Juanita’s reprieves was spending time with friends. Yet since her curfew was ten o’clock in the evening, she could never see the end of a movie when on a date because she needed to get home. With her father gone, Juanita left home at the age of 17 to help support her mother and siblings. And during the war, she even trained and helped with much needed war services on the home front. Even though Juanita wanted to enlist, her mother wouldn’t allow it. For a young woman, Juanita had her hands full, yet she went on to graduate from high school in 1941. Juanita was a hard working woman her whole life through. 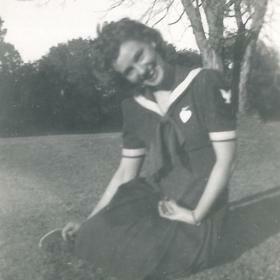 In her early years she proudly worked for Consolidated Aircraft in Ft. Worth, Texas from 1942 to 1944. Although she held several positions there over the years, her main responsibilities included painting aircraft and working in the office checking planes in and out of the plant. For a time she also tested the phone systems. The very last plane Juanita registered in August of 1944 was the “Witchcraft”. A B-24 Liberator, twin tail heavy bomber assigned to the 467th bomb group. It played a vital role during the war having flown in over 130 combat missions. Years later when the infamous “Witchcraft” bomber was on tour, it meant a great deal to Juanita to have once again seen the plane when the tour came to Kalamazoo in 2006. Like many, Juanita had hopes and dreams for the future. Those hopes came true for her one night while out with her good friend, Marge. A handsome young man named Joe Malito and his friend spotted Juanita and Marge on the street in Ft. Worth, Texas and went on to follow them into the theater. They each sat on either side of them, and quite taken with Juanita, Joe was smitten from the start. The couple dated for a short time and was soon happily married. To their union they welcomed two daughters. 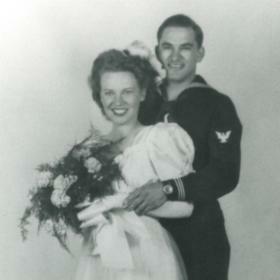 Barbara Anita came along in 1947 and Patricia Jo completed their family in 1950. Beginning in the late 1950s, Juanita and Joe owned and operated Malito’s Rolling Hills Orchards and Farm Market for nearly 40 years. Family was the very heart of Juanita. As a family they took yearly trips to Texas to visit Juanita’s mother and extended family. Christmas Eve was a special part of the Christmas season for Juanita. Even as her girls grew and began having families of their own, the night’s celebrations were always enjoyed at Juanita’s house. She loved traveling by train and even went to Texas to visit her aunt when she was in her eighties. Some of Juanita’s other favorite activities included China painting and camping with the Michigan Motor Home Club as well as with her family well into her nineties! Her love for travel found her all over the U.S. in their motor home throughout the years, along with vacations and trips to Hawaii, Alaska and the Bahamas. When Juanita’s husband Joe passed away in October of 2004 it was no less a difficult time for her. She immersed herself in the love of family and spending time with her grandchildren whom she loved dearly. She also continued her community service activities. For 17 years Juanita served as a 4H Superintendent where she taught gardening and ceramics. She had also been a 4H art judge for five years, the community service director for 15 years and an active member for 45 years. 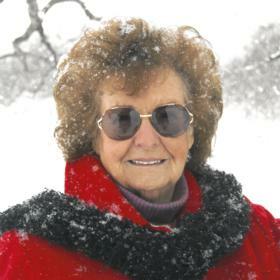 Quite involved as a committed and active 4H supporter, Juanita’s service to 4H spanned over 50 years and she continued to be involved with the program into her nineties. Juanita came to know the companionship of a gentleman by the name of Earl Clough and together they enjoyed many activities and made for the best companions. 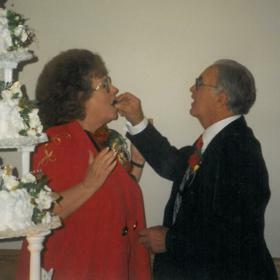 They were married in July of 2005 until his death in December of 2007. A giving heart was at the very core of Juanita’s nature. Selfless and caring, she never ceased in helping those in need. Since 1962 Juanita was an active member of the Seventh-day Adventist Church where she served as the head deaconess for 16 years. Her favorite books were the Bible and Steps to Christ from where she found comfort and understanding. Juanita’s faith was the very cornerstone of her personality. Even as a child she’d walk miles to go to church.  At age 14 she was baptized and since that time she always sought God’s leading in her life. She believed in keeping the Sabbath holy, and her personal devotional time was that of sweet refrain. Juanita’s legacy is one of faith, hope and love. By leading her children and grandchildren back to Jesus, her prayers were answered. Juanita leaves much to be remembered and will be deeply missed. Her life ended surrounded with family and friends on September 22, 2017. Her life was marked by a gentle, caring character and a true love for her heavenly father. Juanita was preceded in death by her first husband, Joseph Malito and second husband, Earl Clough. Surviving are 2 daughters: Barbara Beck and Patricia (Robert) Sutton; 7 grandchildren; 5 great-grandchildren; 2 siblings: Bobbie Jean Bingaman and Jerry (Frances) Starr and many nieces and nephews. Visit with family and friends on Sunday from 11am until service time at 12 noon at the Betzler Life Story Funeral Home, 6080 Stadium Dr. Kalamazoo (269) 375-2900. A luncheon will follow the service in the Life Story Center. Private burial will take place at Mt. EverRest Cemetery. 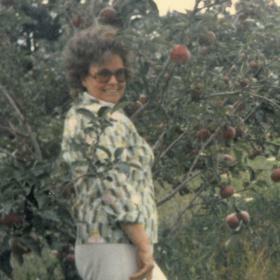 Please visit Juanita’s personal web page at www.betzlerfuneralhome.com, where you can read her story, archive a favorite memory or photo and sign her online guestbook before coming to the funeral home. In lieu of flowers, memorial contributions may be made in her name to SDA Community Service Center.